With TVPad being court-ordered to shut down, thousands of their users have been left with a device that no longer works. And those users (most likely those users’ dutiful sons and daughters) search for workarounds so the boxes can once again stream their favorite Chinese, Korean, and Hong Kong channels abroad. One of the temporary solutions to getting your TVPad to work again was to changing out the DNS on the machine. There have been reports that putting in a new DNS server address will give some or all of the TVPad’s functionality. And you’re done. Some instructions tell you to reboot the machine, but I found that saving the DNS on step #7 did the trick in my case. Also have to mention that the above instructions are for TVPad3. If you have another model of TVPad, it’s the same concept, it’s just a matter of finding the right settings. Problem with TVPad? Use this workaround to get TVPad working again TVPad not working? The TV box was blocked and shut down by lawsuits What are the best TVPad alternatives? 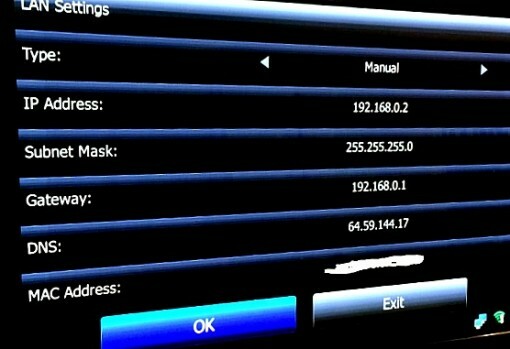 what will be the DNS for TVpad3? You’ll have to do a search on that. It’s ever-changing. It works and I just changed the DNS for TVpad3. tried 123…135 not worked now, any new finds? My tv pad is no signal?? Try 49.213.10.163. It worked in Europe. Hi. I am living in Jakarta, Indonesia. I am a user of TVpad-3. It has been like that for some time, and I can still be able to watch most of the channels, especially the recorded ones. But now I cannot watch any channel. Doesn’t even work….and their customer services just pissed me off….after spending all these money to upgrade ur devices…I don’t think thats how I should be treated…. instead of sorting out how to watch these channels illegally….why don’t subscript to the actual channel on some legal platforms?? Such as Sling International? DISH network?